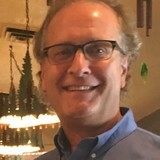 Welcome to Mr. Handyman of Greater Portland where professional, safe, reliable handyman service for your entire "To Do" list is just one call away. That's why local residents choose our professional handymen, who specialize in ALL major and minor home repairs over an independent handyman. We understand your growing "To Do" list can feel overwhelming at times. This along with busy work schedules makes commitments to family and community difficult. We also understand you're invested in the local area. You may even own a local business in the area. Let Mr. Handyman of Greater Portland help with your business maintenance and repairs. After all, this helps your companies image and value. Drop that hammer. 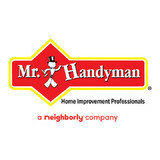 Let Mr. Handyman of Greater Portland help. As the local handyman choice, we thank our local community for trusting America's most reliable, insured and bonded handyman services. To learn more about our professional Falmouth handyman services, call us today. I can help you in these three main areas: 1. 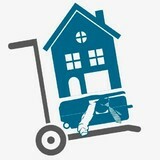 Downsize and moving from a larger home to a smaller one, or just moving to a different one! 2. Organize and simplify your current home or office space. 3. While working to help you downsize or organize, I can help you with repairs that will enhance the appearance and quality of your home. We offer design through to finish carpentry, hardscape design and installation and painting. We are a professional insured company with 15 years experience. We are capable of doing the smallest job to your complete home remodel. We'll monitor your seasonal property while your away for the season, doing the necessary repairs and snow removal from driveways and roofs. We'll replace windows and doors, even build your new addition. Jack of Trades, LLC is a family business dedicated to helping people achieve their dreams for their home. We pride ourselves on honesty, integrity, transparency, and strong craftsmanship to help our clients improve the comfort, safety, and livability of their homes and properties. Small repairs from leaky faucets, sticking doors, to new siding, flooring, remodeling and more. The way we see it, there's NO job too small. In early December, 1979, I established my residential construction business in the Western Maine lakes area with one employee and the goal of providing the best in residential home construction. The business quickly grew to one of the largest and most respected residential construction firms in the area. 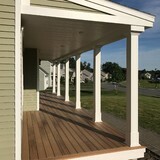 We earned a reputation for the finest quality work backed by honesty, integrity, and a real love of the craft of homebuilding. Thirty-five years and hundreds of custom homes and renovations later, I happily sold my thriving business in 2014 to a young employee and started a new venture. Seizing the opportunity for a change, my wife Polly and I sold our home to our business buyer and moved to Biddeford in late 2014. We love our new community and the many social, recreational, and volunteer opportunities that are available here. Of course it doesn't hurt that we now live much closer to our children and young grandchildren! My new business is focused on providing personal attention to one job at a time in order to give you, the homeowner, the results you want. With 35 years experience in every phase of custom residential construction and renovation, I offer a broad range of services covering repairs, renovations, remodeling, and problem solving for both antique homes and newer residences. I can help you with that "honey-do" list, track down the cause of nagging leaks or sagging floors and make necessary repairs, or complete a larger renovation or restoration project for the kitchen, sunroom, or master suite you have been dreaming of in your antique or newer home. You can expect a prompt response to your call, an honest evaluation of your project, and the best quality work from Ken the House Doctor. Offering handyman services in the Eliot area. Get in touch with us because we would love to work with you! We would love to sit down and hear your thoughts and ideas for a project and together begin making a plan that will satisfy your dreams. We will keep in close touch as the project goes on to make sure we are still going to hit the target we agreed upon, your satisfaction is a priority! What can a local Yarmouth handyman do? While home handyman services in Yarmouth, ME usually cover most of these things, sometimes it’s better to hire a specialized professional so do certain jobs, especially if it’s related to major plumbing or electrical fixes. Here are some related professionals and vendors to complement the work of handyman: Heating & Cooling Sales & Repair, Plumbers, Electricians, Roofing & Gutters. Find a Yarmouth handyman on Houzz. Narrow your search in the Professionals section of the website to local handyman servicesin Yarmouth, ME and read reviews and ratings to find one that fits your needs.